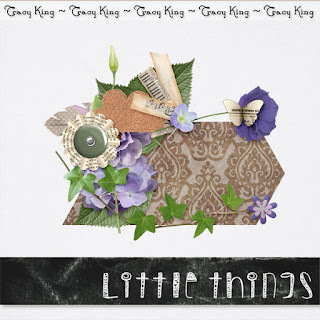 Atelier Tracy K.: Free Digital Scrapbooking Cluster! Well it has been a while since I posted hasn't it? Life has been busy and I have been busy creating! This summer I had the privilege of working with the lovely and professional Linda Cumberland. We created and amazing and very big kit called Little Things. You can buy it here all bundled together or here as separate pieces. Isn't is awesome? 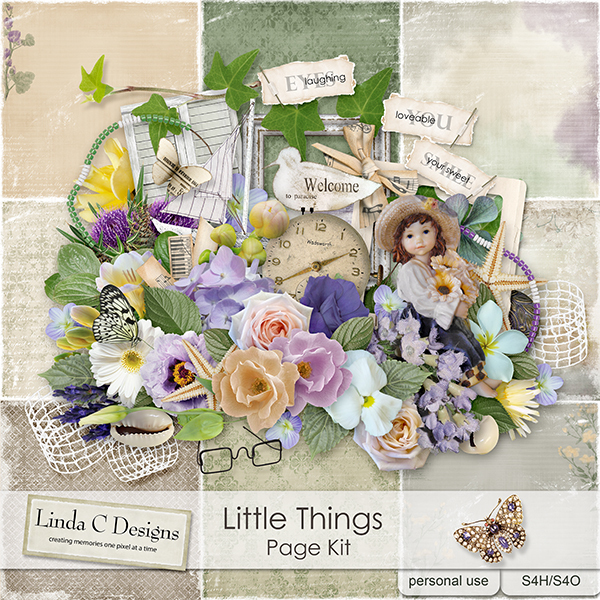 Linda created two freebies which you can grab here and here and I created two as well. Today I will release the first one. Just click on the image to download it :) Enjoy!! !